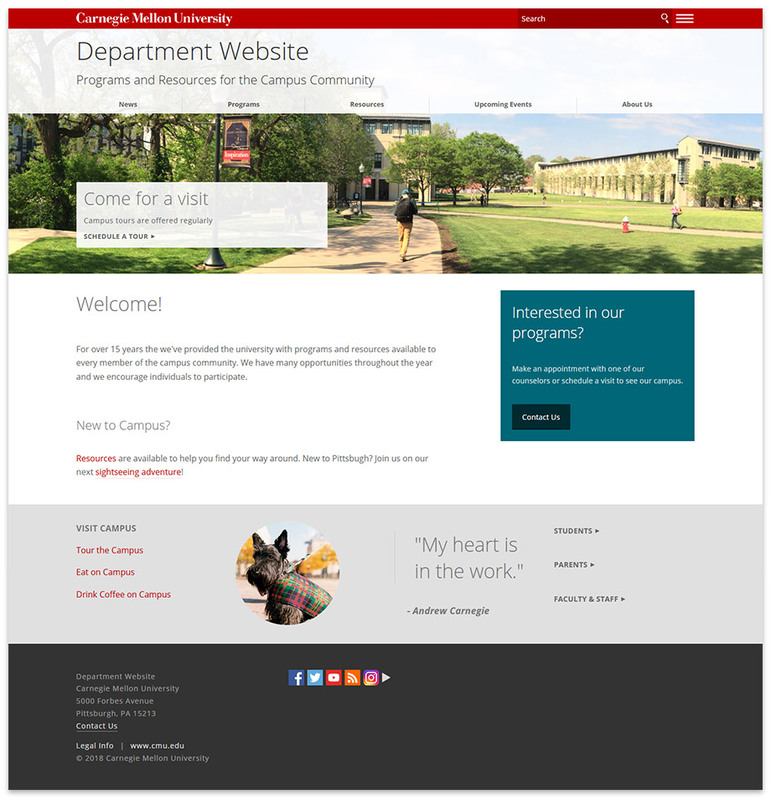 To achieve a cohesive look and feel among official university websites, templates are provided as a base for building sites in the CMS. These templates dictate branding, page-layout and overall style. Options are available allowing each site to be unique. The templates are responsive (i.e., mobile-friendly) so the presentation of a website will change depending on factors such as display size and device type. Tip: Learn a trick for seeing how your website looks on various display sizes. Take a tour of the templates to learn about the Site-Wide Elements, the Page Elements and the Page Types available.